1. 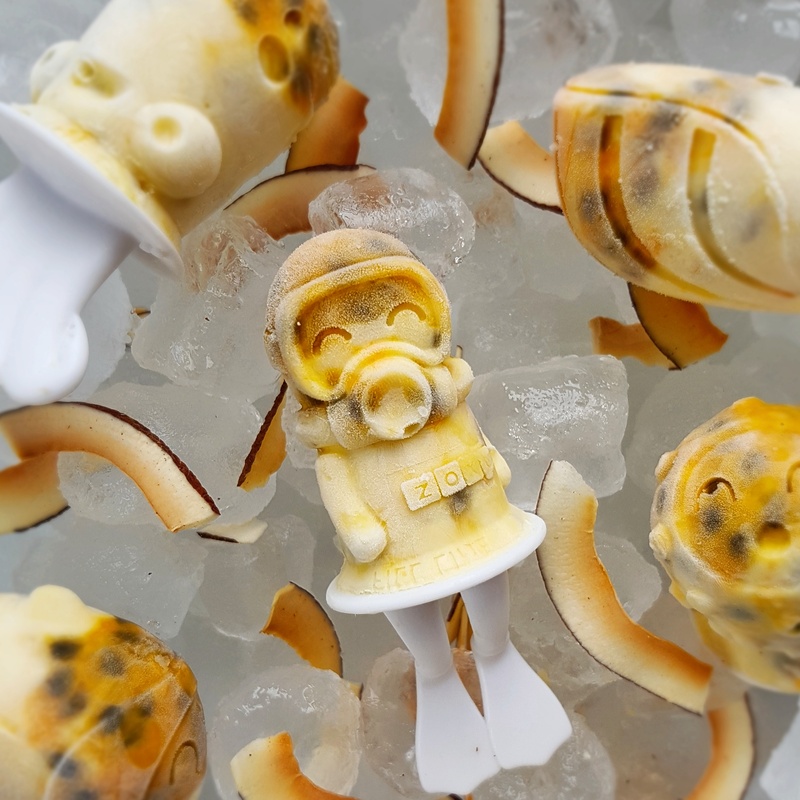 Combine 15 g of coconut with half of the granadilla pulp, then pour into ice lolly moulds in equal quantities. 2. In a large bowl, combine remaining ingredients, pour into Zoku moulds. 3. Freeze over night or for at least 3 hours.